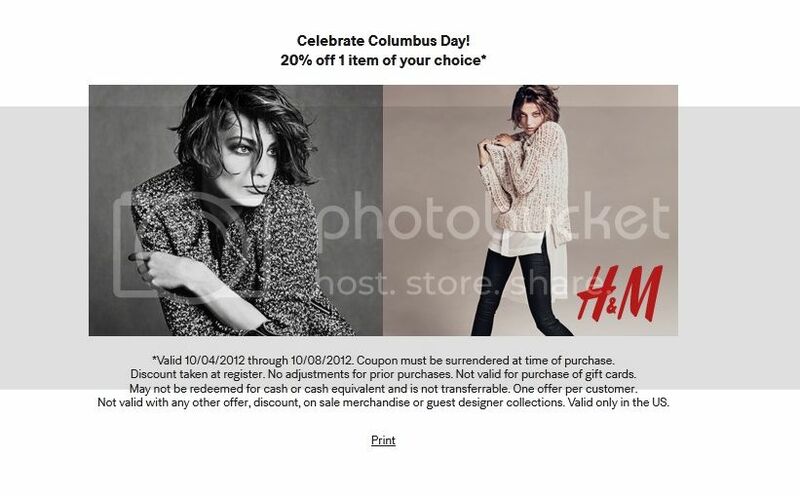 Here’s a coupon to share for H&M for Columbus Day sale. Also 30% off for Men’s jackets here. This entry was posted in Fashion and tagged coupon, H&M on October 4, 2012 by fauxionista.